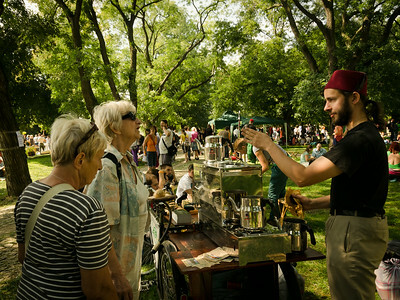 Čajomírfest - OpenAir Festival of Tea in Prague in August 2013 in Vyšehrad. Pictures from the event. 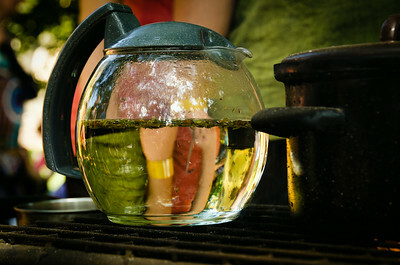 The festival being organised every year has already become tradition – as well as the tea culture in the Czech Republic. 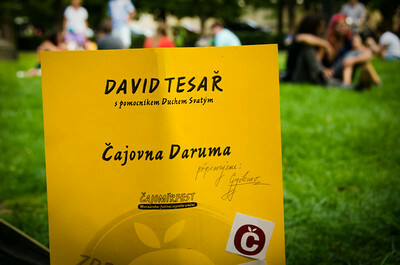 The name of the festival ”Čajomírfest” could be translated as “Tea and Peace” (or loosly "Tea with Peace") and yes, the athmosphere is like that. Among participants you could recognize both – the professionals presenting their tearooms, tea or pottery as well as funs of tea and teaing. There are surely those, who mostly enjoy tearooms relaxed atmosphere and tea varieties is not the most important thing for them. Many many Czechs like travelling so tearooms can remind some of those special ones as in Iran, Turkey etc. 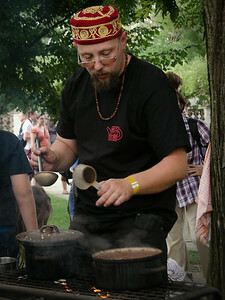 However, even easy Kasmiri style you can find here, once a year in Vyšehrad, and the other days in the west-town Kadan. 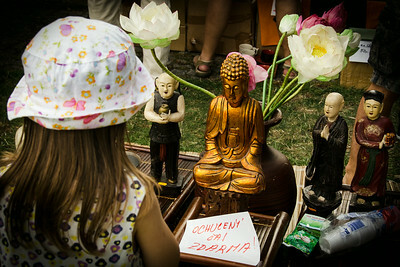 See on the pictures – also some other activities related to peacefull 'air' for centuries associated with the tea. 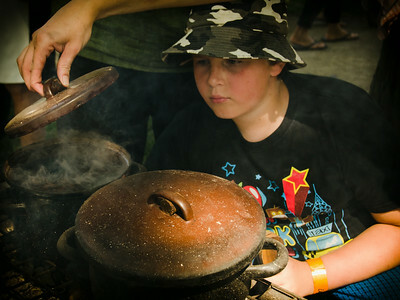 Festival of Tea 2013. Prague, Vysehrad. Medicine wheel ritual. Time for tea - wholeseller. 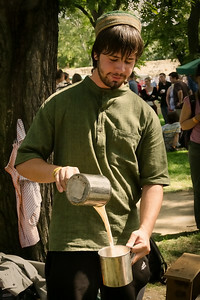 Festival of Tea 2013. Prague, Vysehrad. 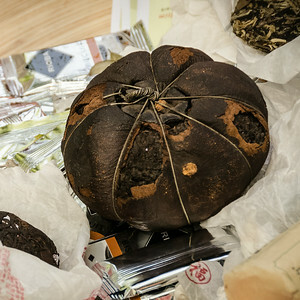 Puerh tea presentation. 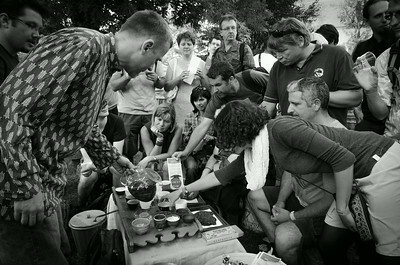 Festival of Tea 2013. Prague, Vysehrad. Tearoom Daruma. 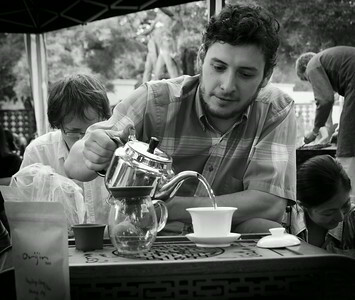 Festival of Tea 2013. Prague, Vysehrad. Tearoom Daruma claims they prepare tea with a help of "Holy Spirit". 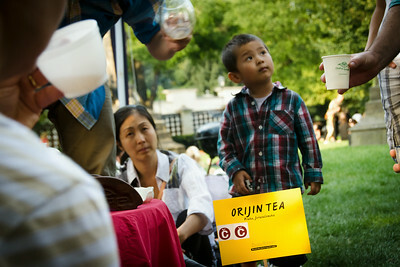 Festival of Tea 2013. Prague, Vysehrad. 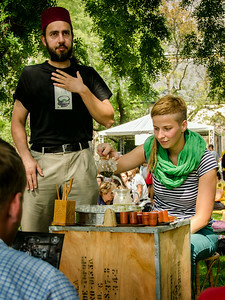 Festival of Tea 2013. Prague, Vysehrad. 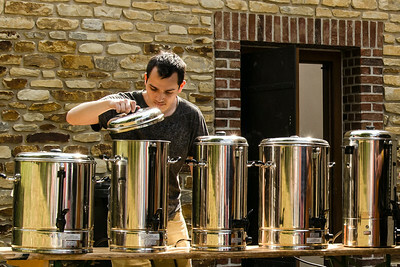 Festival of Tea 2013. Prague, Vysehrad. Good tearoom - Dobrá čajovna Prague. 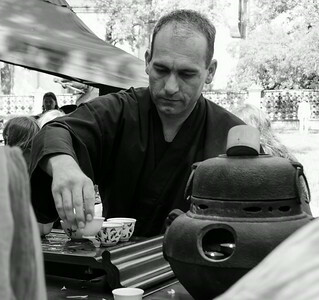 Tearoom Kasmir from Kadan in the Festival of Tea 2013. Prague, Vysehrad. 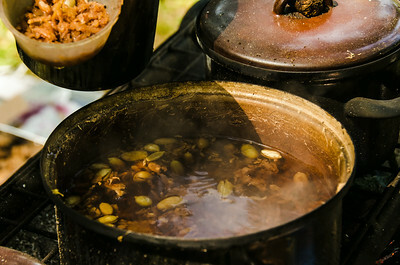 Tearoom Kasmir prepares Kasmiri tea. 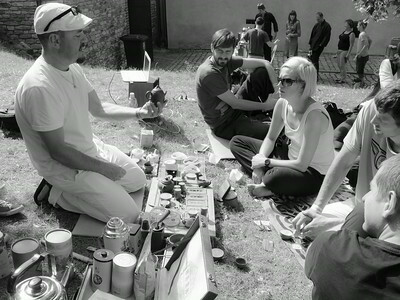 Festival of Tea 2013. Prague, Vysehrad. Water pipes on the Festival of Tea 2013. Prague, Vysehrad. 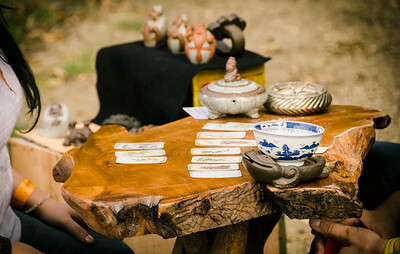 Reading Tarot Cards. 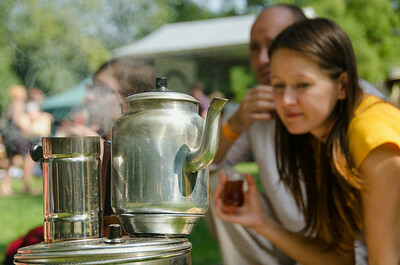 Festival of Tea 2013. Prague, Vysehrad. 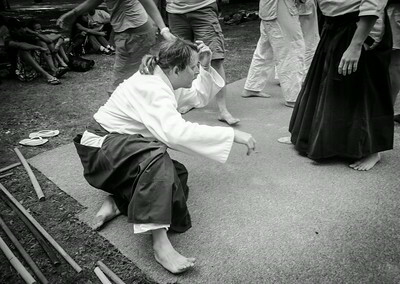 Aikido on Festival of Tea 2013. Prague, Vysehrad.